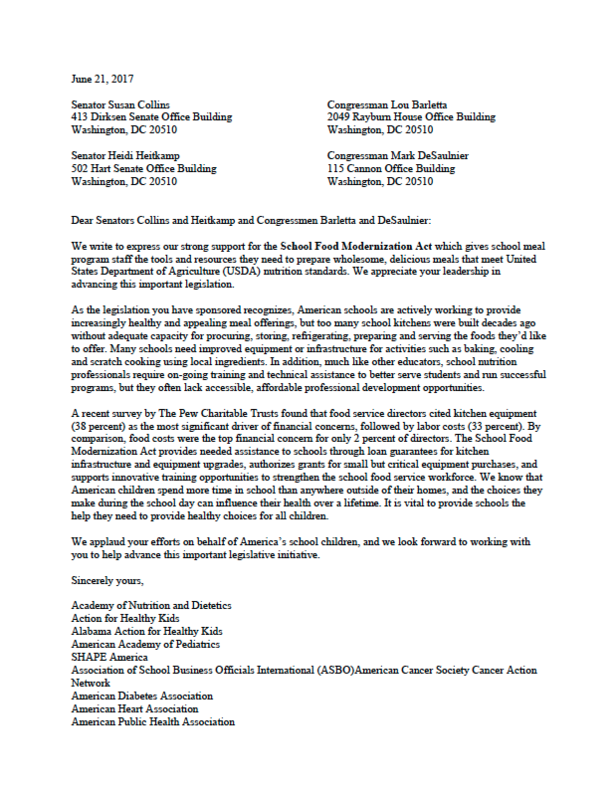 On June 21, the First Focus Campaign for Children–along with several other organizations–submitted this letter to Senators Susan Collins and Heidi Heitkamp, and Representatives Lou Barletta and Mark DeSaulnier for their leadership in introducing the School Food Modernization Act. The legislation provides needed assistance to schools through loan guarantees for kitchen infrastructure and equipment upgrades, authorizes grants for small but critical equipment purchases, and supports innovative training opportunities to strengthen the school food service workforce. 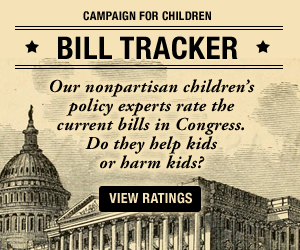 This bill is critical to help schools provide healthy food choices for all children.